​​ FORT WORTH – A lease for 493,000 sf at 35/820 @ Mercantile Center, which totals 657,000 sf of warehouse and distribution space, has been signed by S&S Activewear LLC. With the leased space, S&S Activewear will bring up to 300 new jobs to this part of Fort Worth and marks a bigger growth strategy for the retail company. 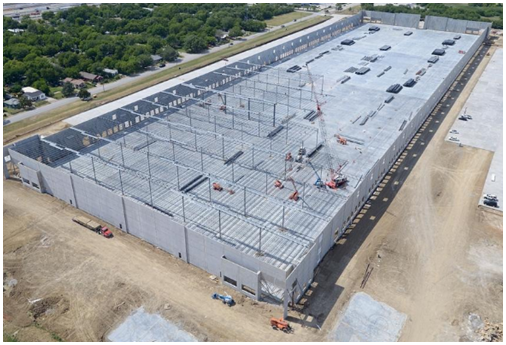 The out-of-state retailer selected the Hunt Southwest facility because of its proximity to Fort Worth's UPS hub, access to I-35 and I-820 and the new building amenities. Hunt Southwest, the builder, broke ground on the new fulfillment center late 2016, with plans to complete construction on the facility by September 2017. S&S plans to begin operations by the end of 2017. See 1Q 2017 data under DFW Retail Market Research.